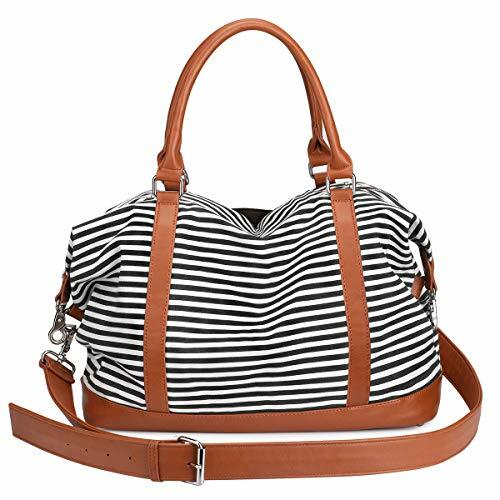 Striped nylon with peach-skin polyester lining. Packable, fast pack into itself, easy to carry and store. 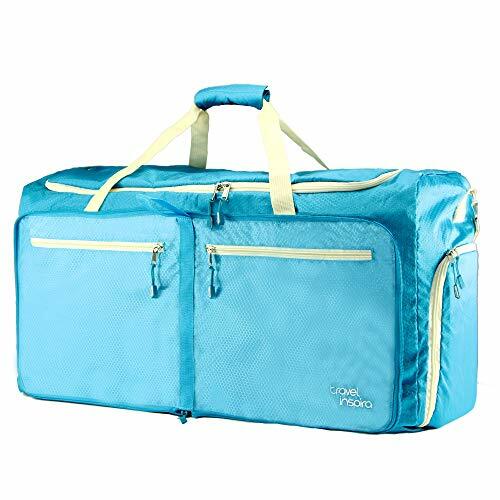 Attach to the pull rod of regular suitcases, enlarge storage space. A great companion for your luggage suitcase. With handle for individual usage. 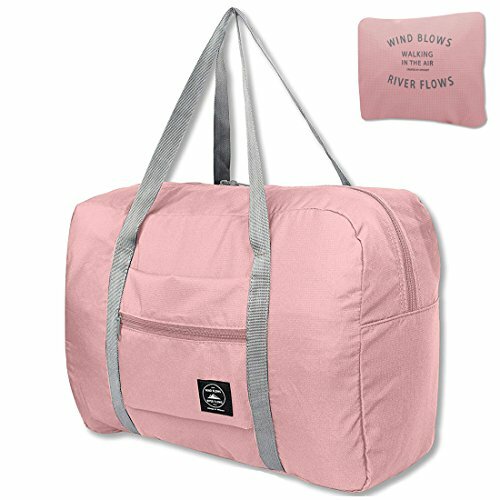 --- Unique Durable Nylon --- Made from unique RipStop water-resistant fabric, ultra lightweight only 1.3 lb, but wearproof, water-resistant and tear-resistant. High quality SBS metal zippers gurantee the long lasting. --- Detail Oriented --- A water-resistant shoe compartment for keeping dirty clothes, shoes and clean stuffs seperate; Padded handles and an adjustable padded shoulder strap for carrying comfort and versatility; A luggage strap allows bag to slide over the luggage upright handle tube for Easy Transport. 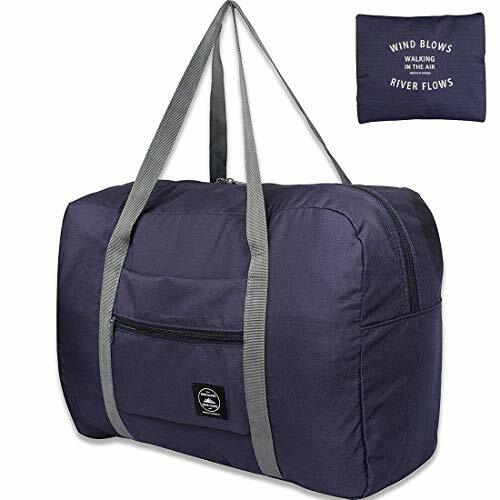 --- Just-In-Case Bag --- Always take this folding duffle with you on any trip, open up when you need to carry gifts for your friends, or to transfer stuffs from your damaged luggage. --- 100% SATISFACTION AND MONEY BACK GUARANTEE --- Please feel free to contact us whenever you meet quality problem, we provide 1 year warranty and lifetime customer service, guarantee 30 days return and money back. 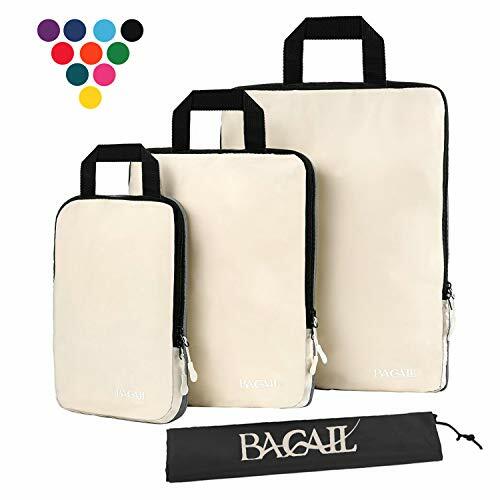 **Large Capacity(Product Dimensions (Unfolded Size): 24 x 14 x 9 inches)**【Durable and Lightweight】Made from water repellent& wear resistant honeycomb 210D nylon fabric and premium zippers, it's super durable and lightweight. It weighs only 1.2 pounds and about 80% less than your empty suitcase. 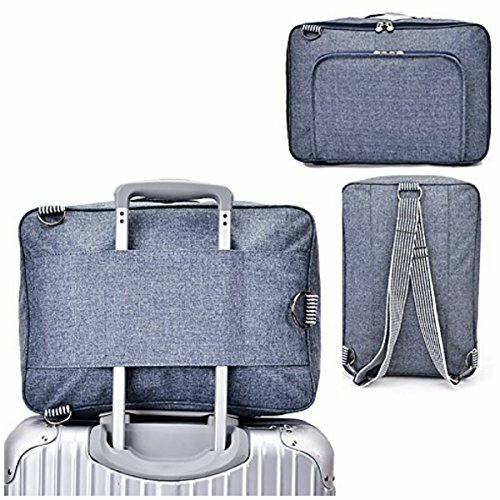 【Foldable and Spacious】It can be folded into a really small compact taking up so little space but opens up to have about 60L capacity to use as a luggage bag in case that your suitcase swells. 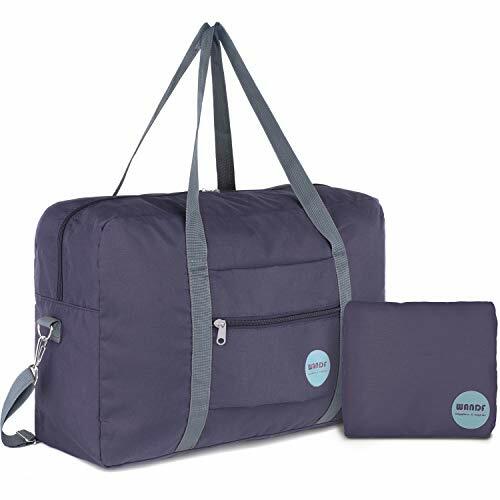 Duffle is designed to work best with bag packing cubes - Add both to your cart for an organized lightweight travel experience. 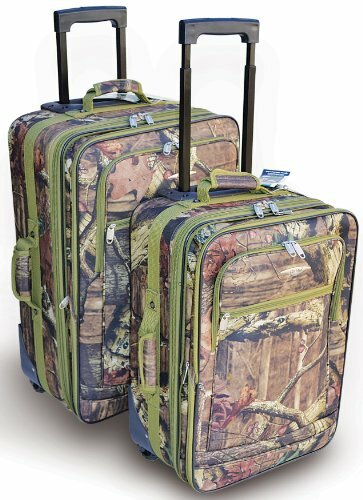 ❤Large Size & Super Lightweight - 14.6 x 15.4 x 4.7 inches (W x H x D),Oversized. with durable lightweight Material,weight 0.32kg. 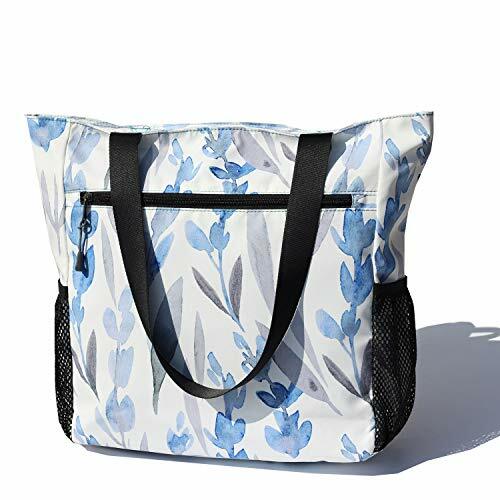 ❤Stylish Fashion Tote - Features a zippered main compartment,[Exterior]1 big front bag + 1 back bag + 2 side mesh bag and 1 exterior;[Interior] 1 zipper pocket + 2 open small pockets. Organize your essential suitable for almost any occasion.The latest printing process, The pattern color never faded,you will love it. Many cute designs, best gifts for women and girls. ❤Versatile Tote Bags & A Perfect Gift for Everyone - It's perfect for gym, sport, travel, yoga, dance, carry-on, luggage, hiking, team work, training and more! It's a fabulous gift idea for everyone. ❤Original Floral Leaf Design - As a promising and professional US brand in Bags,Esvan endeavor to design ideal tote bags for you!Original floral leaf harajuku cute Duffel bags alternative to Travel,Shoping,School,Sport,Gym,Hiking,Yoga,Swimming,Beach etc...A lovely bag full of personality, so fresh and unique. 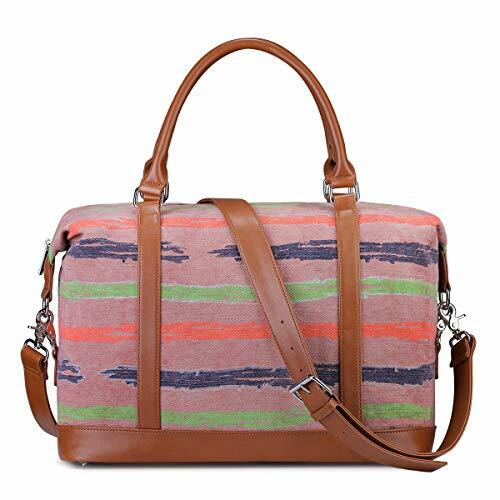 【High Quality Material】Travel Duffle Bag is made from high quality two- color mixed cationic material. With premium SBS zippers and solid clasp, providing long-lasting durability against daily activities. 【Durable and Lightweight】We have enhanced the needle thread density at the bottom of the bag and adjustable the hand strap part, with premium cationic material, it's super durable and lightweight. 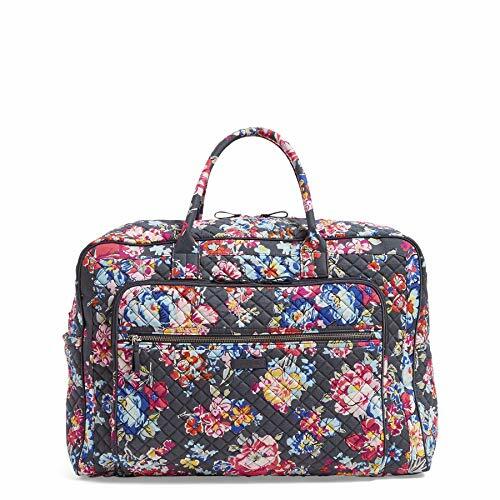 It weighs only 1.68 pounds, which greatly reduces the weight of the luggage. 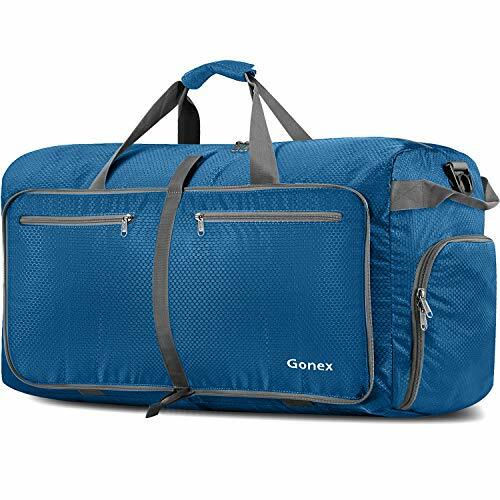 【Large Capacity and Multi Compartment】Extend to 28.3x16.5x12.9 inch with 85L capacity, This Large Luggage Duffel is designed with 1 main zipped compartment and 6 separate pockets. 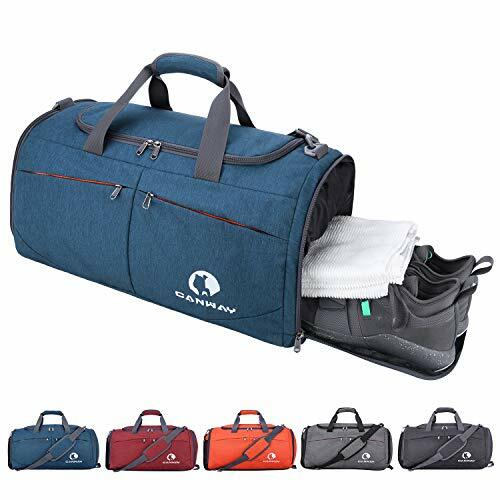 The highlight of our travel duffle bag is the design of a shoe compartment that can hold shoes and dirty clothes and a hidden Anti-thief pocket that store your wallet and keys. 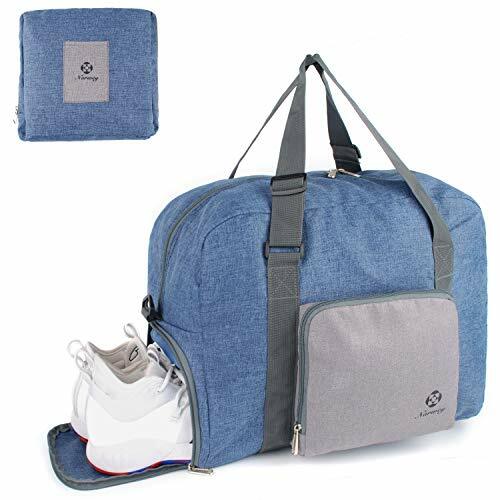 【Foldable and Multipurpose】It can be folded into a really small compact taking up so little space, and perfect for workout, travel, sports activity, hunting, camping, hiking and other outdoor activities. 【Reasonable Design】Comes with adjustable and detachable shoulder straps with padding, making it more comfortable and anti-slip. It can be also used as a handbag or a shoulder bag. A belt is designed on the left and right ends of the bag to facilitate two people to carry the baggage. 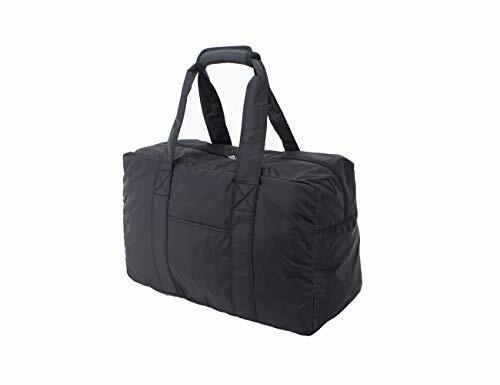 LARGE FOLDABLE DUFFLE: It extends to 31.8 x 16.5 x 16.1 inch with 115 Liters capacity and 2.07 pounds. Folded Size:11 x 12.2 x 3.9 inch, easy to store. 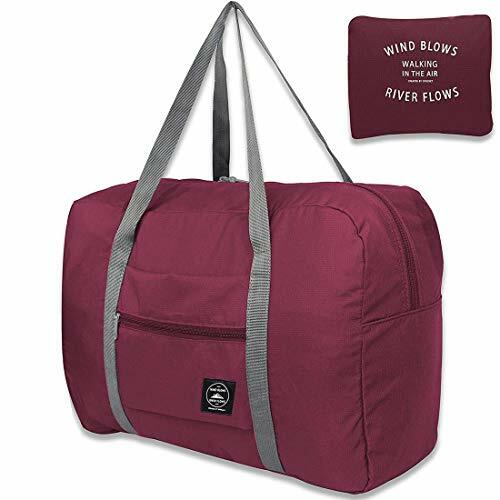 This duffle bag has one spacious main compartment and 6 separate pockets.Keep your belongings well organized. 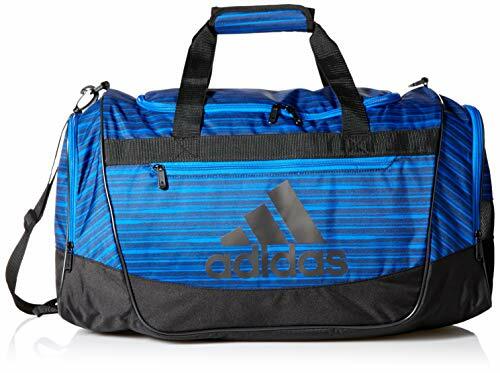 LARGE DUFFEL: The gym bag measures 20 x 10 x 10 inch with 45L capacity. 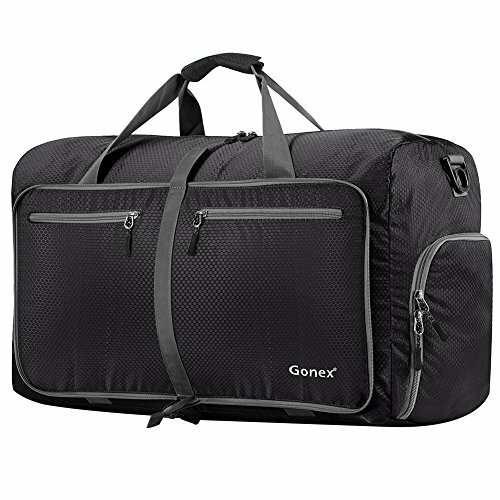 It is your choice if you're looking for a big, fashionable, no-nonsense hauler that'll hold all your essential items for sports. 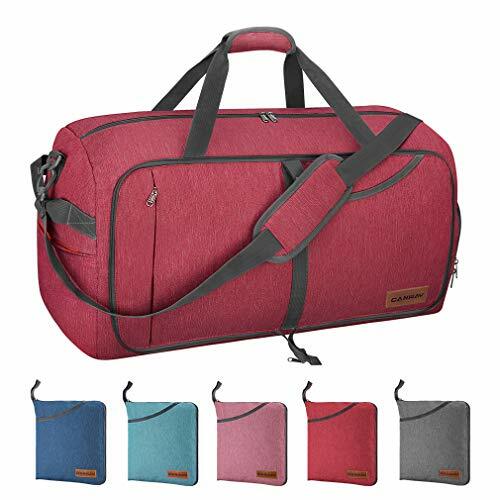 MULTI-POCKET: The sports bag has one spacious main pocket and eight separate pockets. One shoe compartment for sneakers. Two front pockets and one inner wet pocket. Side mesh pocket fits one water bottle and one protein shaker. The inner pockets for shampoo and facial cleanser. BUILT TO LAST! 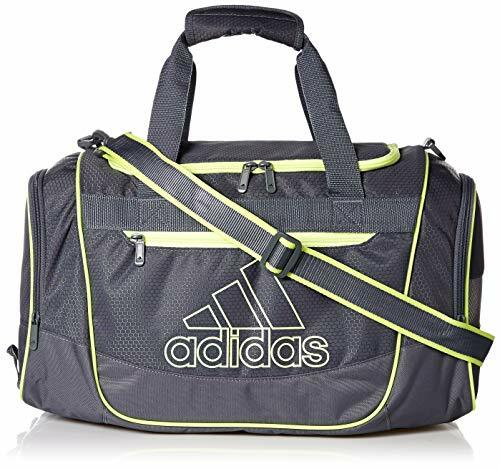 Made of 600D polyester fabric, waterproof & tear-resistant. Premium metal SBS zippers and reinforced major stress points will never fail you. 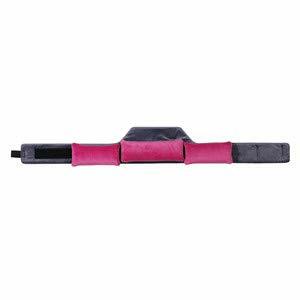 It comes with rounded stitched grip handles and padded, adjustable, removable shoulder strap buckle. GOTTA LOVE BONUSES: 1.) The bottom adopts waterproof and wear-resistant leather. 2.) The wet pockets are designed to pack in your wet accessories. 3.) The built-in key ring can solve a big problem for you. 4.) The side hook allows you to hang the gym bag from any existing pole in the locker room or hook on the wall. 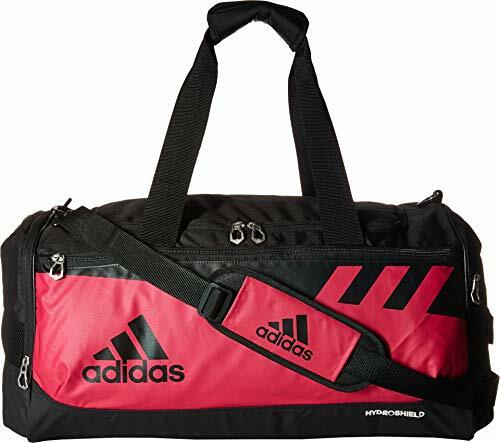 BUY WITH 100% CONFIDENCE: Your good companion for sports, could be served as a sports gym bag, basketball bag, dance bag, camp / airplane duffel, carry-on luggage, Just-In Case bag as well. We guarantee 2 years protection for free from the date of its original purchase. ORDER NOW WITH NO RISK! Weight: 2.16 lbs. Body Dimensions: 18.5" x 10.5" x 9.5" Overall Dimensions: 18.5" x 10.5" x 9.5"
Material:Made of 100% nylon.Environmental protection is not irritating to the skin. Feature:waterproof material,intimate design with front pocket,this pocket fits ipad mini. International brand YKK zipper, durable andle strap,fit comfortably over your hand with high efficiency velcro. neat stitching and secret inner pocket. ✈️COLLAPSIBLE PORTABLE - Made of nylon, lightweight (0.5 lb), folds up into small pocket when not in use for easy storage. ✈️HOOK ONTO LUGGAGE - Slides right on the handle of suitcase bag for easy stow and go. 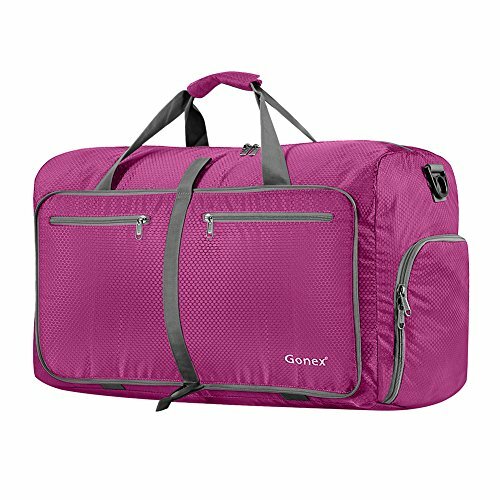 ✈️CARRY-ON BAG - Large Size: 18.9"x6.3"x12.5", with a capacity of 2500 cubic inches, allowed for carrying on inside most aircraft. 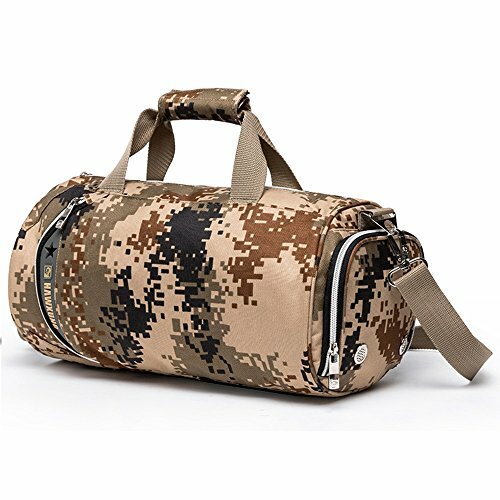 ✈️DURABLE - Nylon duffel, water resistant material, smooth zipper, wear resistant handles. 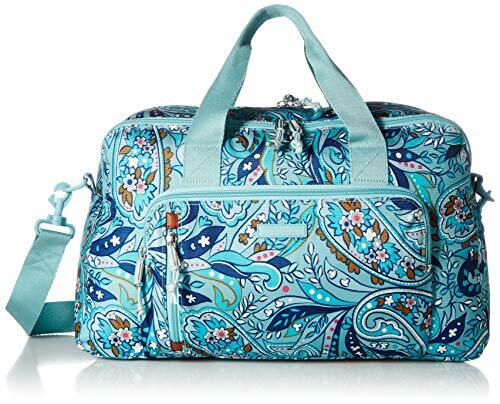 ✈️INTENDED USE - Gym, Sports, Travel, Carry-on bag, Shopping bag, Overnight bag, Hand carry on air travel, Weekend trip, Labor & Delivery bag, Back up bag. ☆Materials: Made from high quality Polyester. Wear-resistant ripstop super lightweight, Exquisite shading, fashion and elegant. 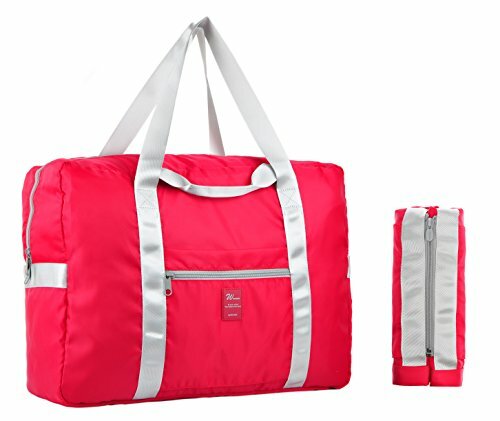 ☆Perfect Constructed: One main compartment has large capacity for clothes, iPad, towels, shoes and other sports gym necessities, 1 front pocket, 1 slash Pocket to hold your headphone, notebooks, keys, cellphone, etc, Keep your things organized, 2 external pockets including Side pocket and shoes compartment. 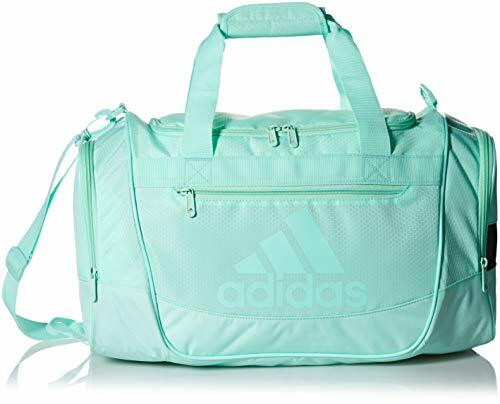 ☆Shoes Compartment: Built-in extra shoes bag with exterior zippers and air holes, ventilated to keep your shoes and clean gear separate. ☆Multi-function: Adjustable/removable shoulder strap with anti-slip shoulder pad, durable handles. You can portable or clined carry on the arm. Two use ways for you and easy to switch. 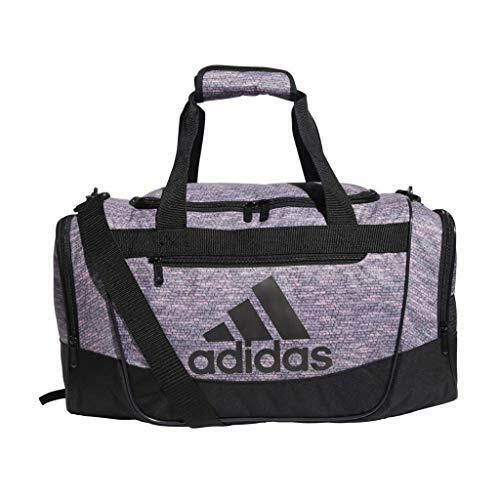 ☆Intended Use: Sports, Gym, Weekender, Travel, Excursion, Carry-on, Luggage, Camping, Hiking and a great gift for everyone you love. 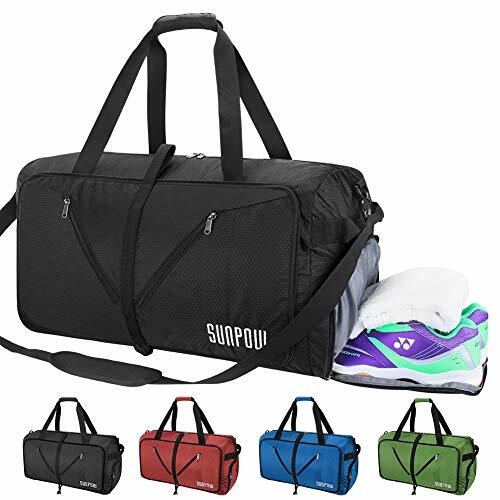 【Tear Resistant & Waterproof】 SUNPOW Travel Duffle Bag is made from high quality ripstop nylon material. With premium SBS zippers and solid clasp, providing long-lasting durability against daily activities. 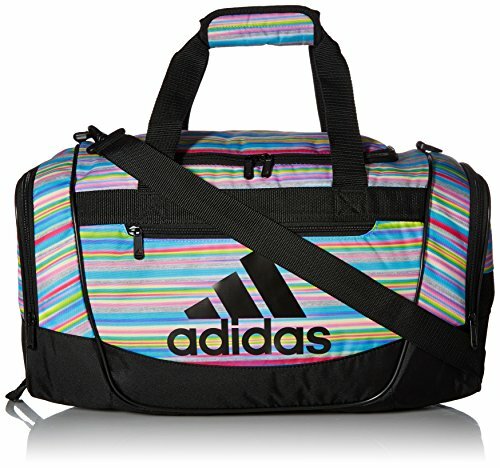 Comes with adjustable and detachable shoulder straps with padding, making it more comfortable and anti-slip. 【Durable and Lightweight】We have enhanced the needle thread density at the bottom of the bag and adjust the hand strap part with premium nylon material, it's super durable and lightweight. 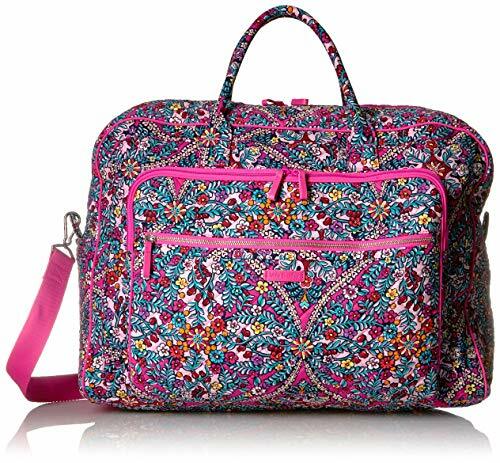 It weighs only 1.68 pounds, weighs 75% less than most luggage! A belt is designed on the left and right ends of the bag to facilitate two people to carry the baggage. 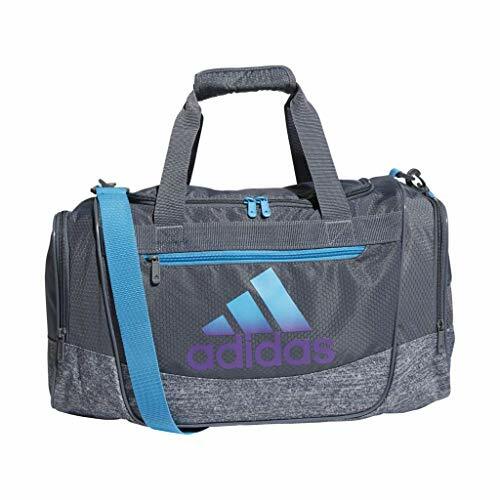 【Large Capacity and Multi Compartment】Extend to 26.3x13.7x12.2 inch with 65L liters capacity. 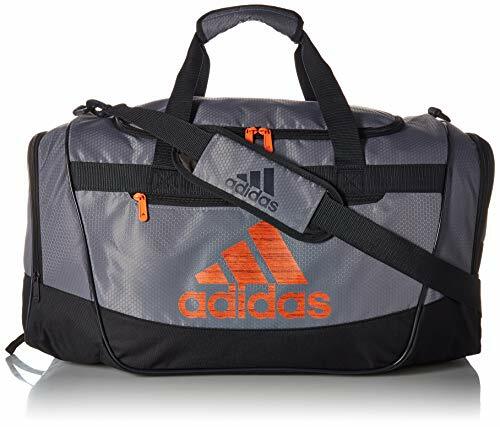 This Luggage Duffel is designed with 1 main zipped compartment and 6 separate pockets, providing good organization. 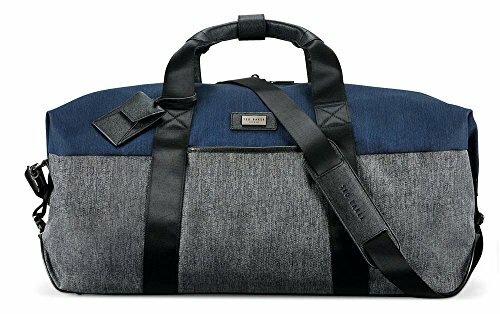 The highlight of our travel duffle bag is the design of a shoe compartment that can hold shoes and dirty clothes. Interior designed with a Anti-thief pocket which store your wallet and keys better. 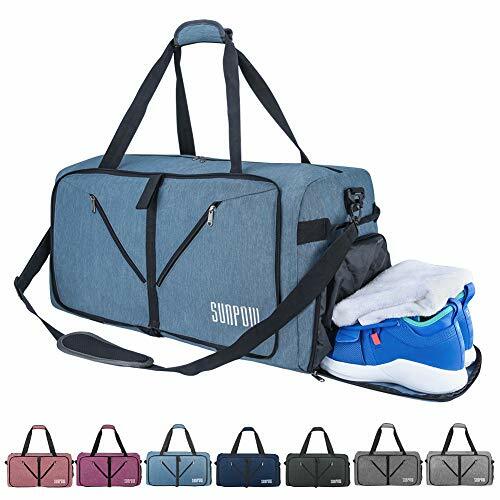 【Foldable and Multipurpose】It can be folded into a really small compact taking up so little space, and perfect use as workout bag, weekender bag, travel bag, sports gym bag, airplane bag, camping bag, hiking bag and other outdoor activities. You can catch a trip whenever you want! 【100% SATISFACTION & MONEY BACK GUARANTEE】We guarantee 30 days return and money back, 1 year warranty and lifetime customer service. Please feel free to contact us whenever you need help with the item. 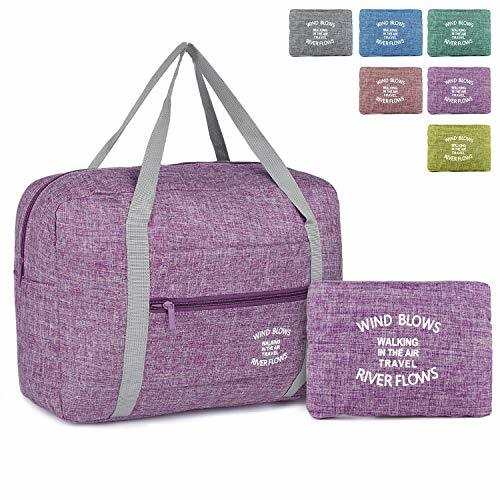 *Large Capacity(Product Dimensions (Unfolded Size): 35*12.6*17.3 inches)**【Durable and Lightweight】Made from water repellent& wear resistant honeycomb nylon fabric and premium zippers, it's super durable and lightweight. It's sort of low-temperature-resistant. 【Foldable and Spacious】It can be folded into a really small compact taking up so little space but opens up to have about 150L capacity to use as a luggage bag in case that your suitcase swells. Duffle is designed to work best with bag packing cubes - Add both to your cart for an organized lightweight travel experience. 【Multipurpose】Your good companion for traveling, could be served as a gym/ sports/ weekend/long trip / shopping/ Just-In Case bag as well. It can also be used at home as a dirty laundry compartment. 【Reasonable Design】Dual-way zippered main compartment for easy access to items. 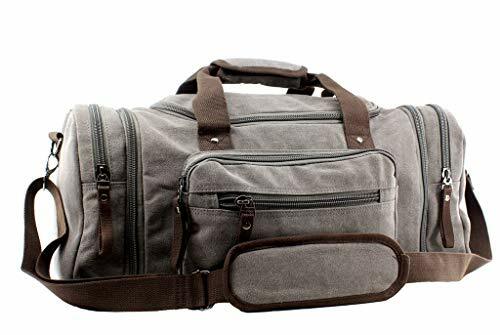 This duffle is featured with internal hanging bag& super large shoe compartment, multiple pockets, 2 handles, adjustable& removable long shoulder strap and sleeve on the back to slip it over luggage handles, which offers you better experience. 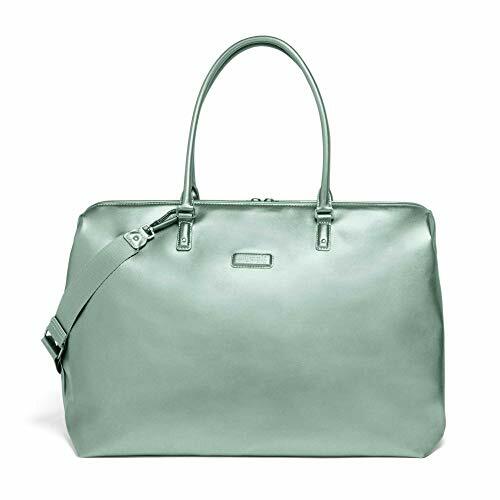 The Metropolitan is a no-fuss carryall made for the modern man. 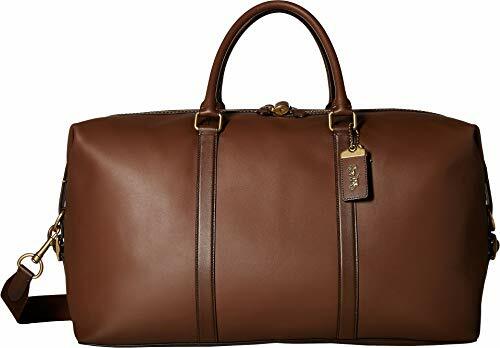 The Duffle 52 is a generously-sized carry-on (TSA compliant) detailed with interior zip and slip pockets for organization, an exterior luggage tag and a detachable nylon shoulder strap for versatility. Crafted in our glove-tanned leather, a padlock on the zip closure helps keep belongings secure. Complies with TSA size regulations for carry-on luggage. Detachable nylon strap for shoulder or crossbody wear. Padlock and luggage tag included. 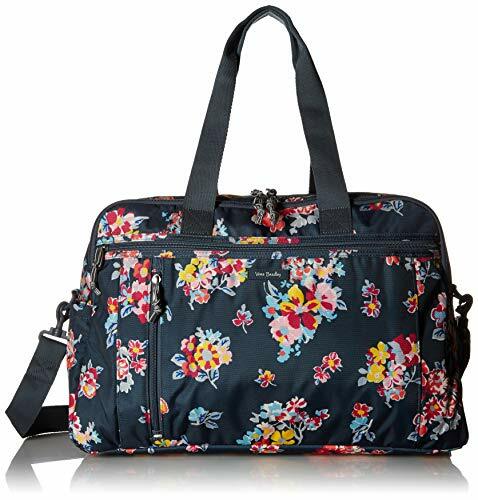 Spacious Carry-on : The bag has the size of 27 inches x 11 inches x 15 inches (69 cm x 28 cm x 38cm). It has the volume of 85 Litres.4 colors for your selection, easy to spot yours among the others. 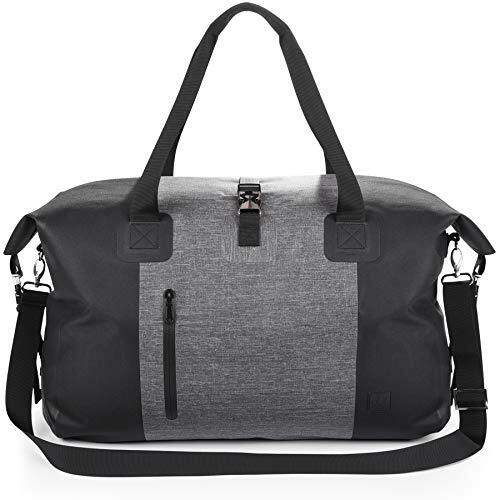 Folds into a Small Bag : The Travel Inspira Duffel Bag folds into itself when not in use.A really small compact with a wrist carry strap around 11"x11.8x3",taking up so little space.When you're going in extensive travels, this duffel bag becomes multi-purpose,you can use as a Sport bag, Gym bag,Travel bag, Weekend bag,Overnight bag,shopping bag and Just-in case bag. Durable, Lightweight and High Quality: Made from Honeycomb RipStop fabric that resists wear and tear. High quality zippers with pull string that will not break and surely won't fail you. 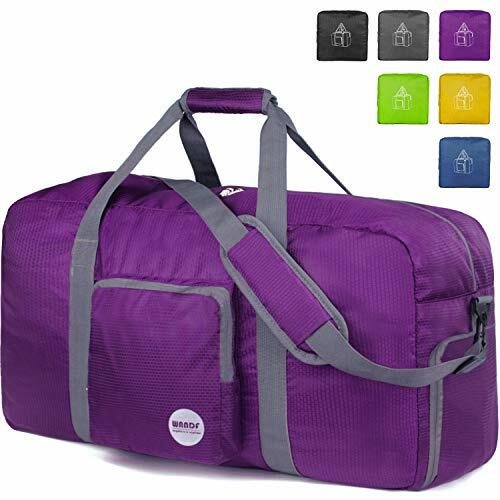 Super Lightweight, Collapsible, Durable and Fashionable colors For Travel And Everyday Life. Carried at Your Own Comfort : The bag is equipped with Hand Grips. But it also comes with an Extendable Shoulder Strap that can be adjusted. You can carry it over your shoulder or crossbody for a better lift. Multiple Pockets to Keep your Stuff Organized Separately. Multiple pockets are helpful,A main compartment can easily organize your shoes,soccer ball,uniform,and cheer or dance outfit. HIGHT QUALITY: Made of high-quality NYLON. 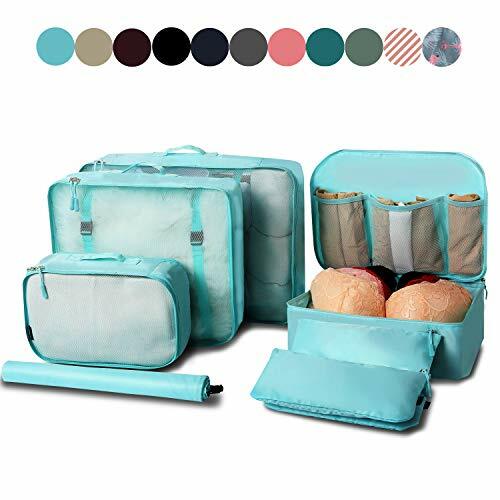 VALUED &CONVENIENT: Mesh top panel for easy identification of contents and ventilation.These compression packing cubes allow you to effortlessly save space when packing clothes. No broken zippers, no weak stitching. 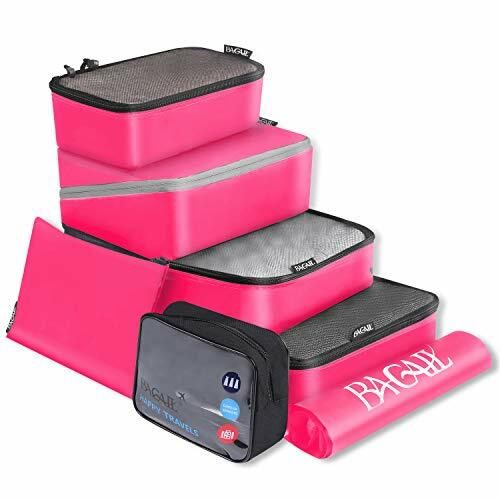 Bagail Packing Cubes will become your most valued and reliable travel buddy! 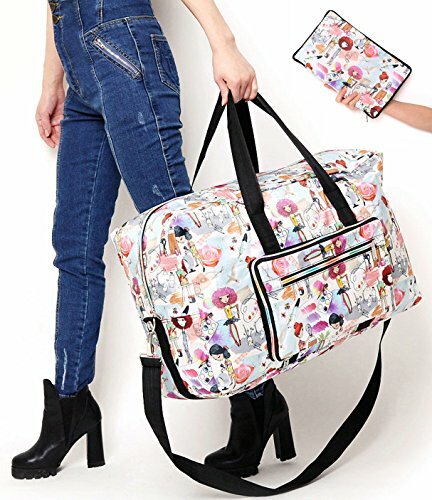 AVOID OVERWEIGHT CHARGES - Your 3 piece set fits like a glove into most airline carry-on suitcases, tote, weekender, backpacks and duffel bags. 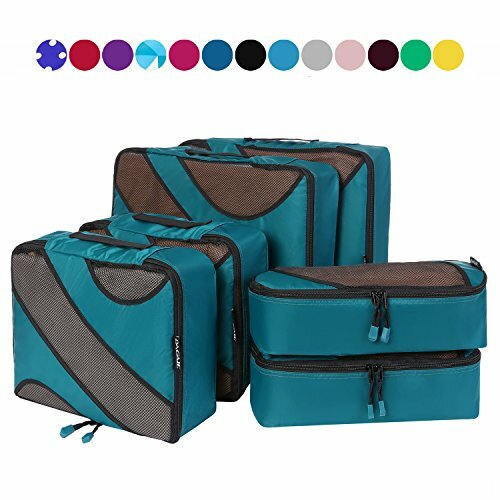 Great way to keep organized for FAMILY breaks, BUSINESS travel, BACKPACKING, CAMPING, HIKING, RV, CRUISE holidays & SADDLEBAGS. Take 1 cube with you as a carry-on item to reduce weight on checked-in luggage.